It’s a genetic fact that no two of us are alike. Individuality is a good thing! Yet, the differences between us can, also, be a catalyst for criticism from others in the form of bullying. Everyone knows someone who is a bully. Bullies intimidate others verbally, mentally, emotionally, and sometimes physically. Dealing with a bully is something most people have been forced to do at least once in their life. In fact, according to research, 1 in 2 people experience bullying at some point before their 20th birthday. Bullying happens in every culture or society. It can happen at home, at school, in the workplace, and over the internet. 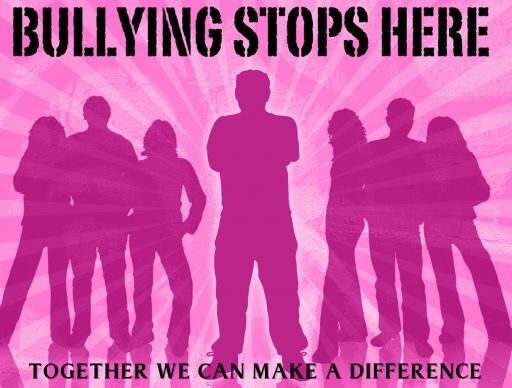 What I’m trying to say is, anyone can be a bully, anyone can be victimized by bullying, but, together we can stop it. That’s the message behind the International Day of Pink (April 10). It is a day to unite in celebrating diversity and raising awareness to stop all forms of bullying and discrimination. Pink is a non-threatening color seeking appreciation, respect, and admiration. The color pink represents compassion, nurturing and love. It relates to unconditional love and understanding, and the giving and receiving of nurturing. Pink is intuitive and insightful, showing tenderness and kindness with its empathy and sensitivity. 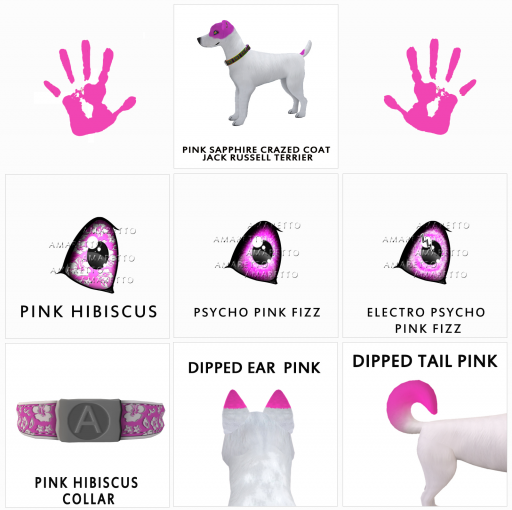 In color psychology, pink is a sign of hope. Amaretto takes great strides to promote inclusion and positivity. That’s why they offer a diversity of traits; allowing you to create a design that shows your own individuality. Create something spectacular today! 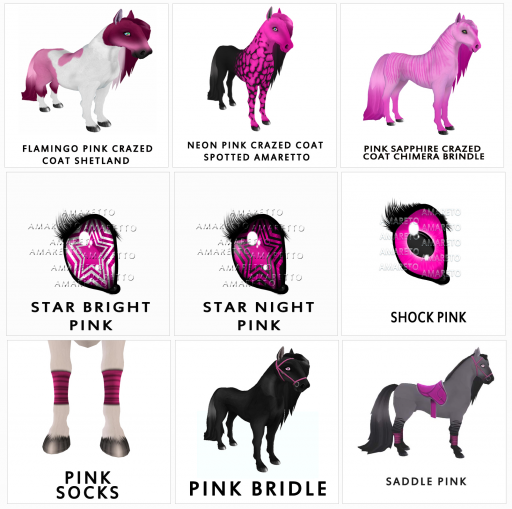 Here are just a few pink traits to get you started! Till next time…Be Kind & Happy Breeding!